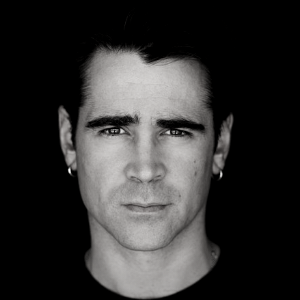 A native of Ireland, Colin Farrell continues to turn heads in Hollywood. He was recently seen in Yargos Lanthimos’s “The Lobster” starring opposite Rachel Weisz about a dystopian future where single people must find a partner in 45 days or get turned into an animal. The film won the Jury Prize at the 68th Cannes Film Festival and was nominated for a 2016 BAFTA. He was also nominated for “Best Performance by an Actor in a Motion Picture, Musical or Comedy” at the 2017 Golden Globe Awards, “Best Actor” at the 2015 British Independent Film Awards and “Best European Actor” at the 2015 European Film Awards for his role in the film. He has reteamed with Yargos for the “Killing of a Sacred Deer” opposite Nicole Kidman for A24. The film premiered at the 2017 Cannes Film festival along with Sofia Coppola’s “The Beguiled,” a remake of the 1971 Clint Eastwood film, starring Farrell, Elle Fanning, Kristen Dunst and Nicole Kidman. In November 2017, he starred opposite Denzel Washington in the Sony film “Roman Isreal, Esq.”, written and directed by Dan Gilroy. He can next be seen in Fox’s “Widows,” directed by Steve McQueen which will premiere at the 2018 Toronto Film Festival. In March 2019 he can been seen in the Live Action film, “Dumbo,” directed by Tim Burton. Born and raised in Castleknock in the Republic of Ireland, Colin attending the Gaity School of Drama in Dublin. Before completing his course, Colin landed a starring role in Dierde Purcell’s miniseries “Falling for a Dancer,” a starring role in the BBC series “Ballykissangel,” and a featured role in Tim Roth’s directorial debut, “The War Zone,” followed soon after.